I hope everyone on the east coast is doing okay this week! I'm typing this up and scheduling it now (Monday night) since our power has been browning out and I'm sure we're going to lose it pretty soon. I'm actually surprised it's held up this long, since it's been rainy and SUPER windy for almost 24 hours now. 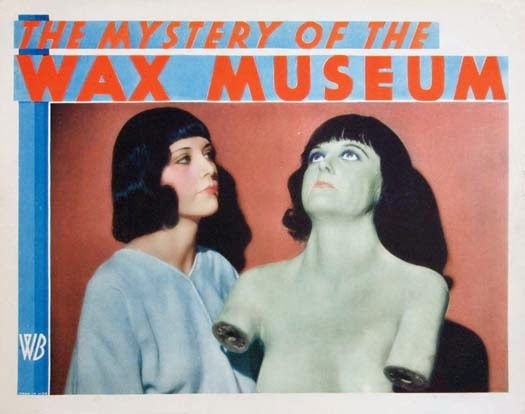 + Mystery of the Wax Museum (1933) and Doctor X (1932) - Both of these movies were filmed in a two-strip technicolor that looks really, really creepy. The subject matter is spooky enough, but the murky greenish tint really adds so much scary oomph! Both star Fay Wray and Lionel Atwill and if you like classic horror (as opposed to blood-and-guts horror) they'll definitely scare your pants off! + Scream of Fear (1961) - I wrote a blog post about this one on my film blog last year, here. It's a Hammer film, so I was a little wary about watching it (I'm really not big on gore, and in my experience Hammer films usually come with buckets of it) but it's more of a psychological twisted sort of horror. Not gory but DEFINITELY scary! + The Innocents (1961) - Just the opening credits of this movie creeped me out so much that I had to make my brother keep me company for the rest. It's a gothic, atmospheric thriller based on The Turn of the Screw. It's one of those movies where what you *don't* see is scarier than what you do! + The Two Mrs. Carrolls (1947) - This is more of a murder mystery than a horror film, but it definitely has the feeling of a scary movie! And I have goosebumps just thinking about the painting they show in the film (you'll know it when you see it!) eek! Also, it has Barbara Stanwyck (my favorite actress) so that's always a plus! + The Body Snatcher (1945) - Halloween wouldn't be Halloween without at least one Val Lewton film, and my favorite is The Body Snatcher. This movie also proves that Boris Karloff could be pretty scary even without the Frankenstein makeup ;) Maybe even scarier. my super exciting no-longer secret news!! not one, but two eyeliner tutorials! 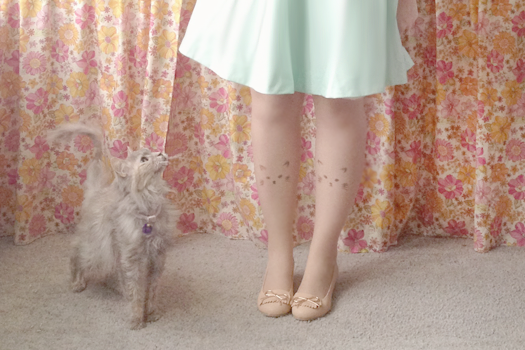 look what I made #7: apple picking dress!